A diverse group wave to almost 50% of their closest. 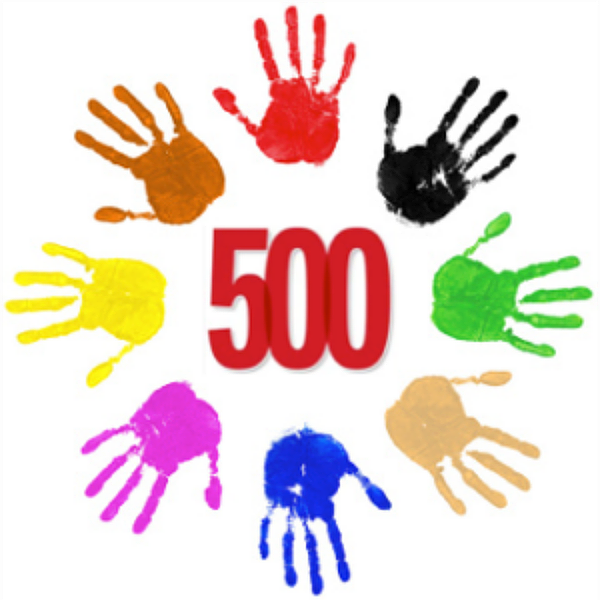 A U.S. company may reach the Fortune 500 club through total revenues, but to remain in the Fortune 500 may require more focus as a culture club than a constant club. Those with cultural blind spots are no longer fit to not only stay on top, but to keep up what is great to stay great. In a recent Fortune 500 review, 4 of every 10, companies, almost 50%, a decade later were gone. Culture represents the values, norms, assumptions, expectations, and definitions that characterize organizations or affectionately known as: the way things are done around here. What is the cost of culture? Why is it even worth identifying corporate culture? Let’s start with what is culture. Culture is often a holdover from the founder and their actions. Culture is sometimes developed consciously by management teams who decide to improve their company performance in systemic ways; and sometimes, in absence of direction, culture is adopted as a way to manage mismanagement. Sustained success has less to do with market forces than company values; less to do with competitive position than personal beliefs; less to do with resource advantages than vision. Sustained success has to do with managing culture. Organization change without an awareness of what drives the organization’s culture may present a reason close to 90% of all projects fail. The effort to improve organization performance usually fails because an organization’s culture remains the same because too often the change is at odds with the culture. When change is at odds with culture, culture will always win. If you can’t change the hearts and minds–the values, ways of thinking approaches to problems, management styles, motivations–the culture then soon adopts resistance to change as a coping mechanism and default way forward. Change never succeeds on prescription, but will succeed with diagnostic inquiry. Just as the best doctors ask about the entire well-being of the patient, lasting change has to begin with well-crafted inquiry. Culture is more than simply the revenue that gets a company on the Fortune 500. If change was as easy as a directive, then the companies that made 1999’s Fortune 500 list would not need to say goodbye to 209, or 42% of their peers, a mere 10 years later. The, roughly 50% that start 1999’s Fortune 500 and also make 2009’s Fortune 500 should realize to stay present means to stay culturally engaged. Will 50% turnover of the Fortune 500 become the new norm? MIT Sloan School of Management professor, Peter Senge, presents the average life of a Fortune 500 company is 30 years. Jim Collins, author of Built to Last, notes only 71 companies on the original 1955 Fortune 500 list are there today. I welcome your communication on how to inquire, diagnose, design, and manage change for the impact you intend, not the outcome that is, unfortunately, most likely. Update: Five years later, I took a look at a larger range of Fortune 500 and 1,000 turnover trends across decades in Fortune 500 revenue here, won’t get you there that includes a video from HubSpot’s CEO, Brian Halligan. Pingback: Do You Fit the Company Culture?